b. 17 Aug. 1777, 3rd s. of Benjamin Wilson, serjeant painter to the King, of Great Russell Street, Bloomsbury by Jane née Hetherington. educ. Westminster 1786-7; Winchester 1787-8; by a clergyman, Tottenham Court Road. m. 8 July 1797, at Gretna Green, and again 10 Mar. 1798, Jemima, da. of Col. William Belford of Harpledown, Kent, 7s. 6da. Kt. order of Maria Theresa of Austria, sanctioned by George III 2 June 1801. Cornet, 15 Drag. 1794, lt. 1794, capt. 1796; a.d.c. to Gen. St. John in Ireland 1798; maj. Hompesch’s mounted riflemen 1800, lt.-col. 1802, half-pay 1802; inspector, yeoman cav. Som., Devon and Cornw. 1802-4; lt.-col. 19 Drag. 1804, 20 Drag. 1805; brevet col. and a.d.c. to the King 1810; lt.-col. 22 Drag. 1812, maj.-gen. 1813, dismissed 1821, restored as lt.-gen. 1830, with effect from 1825; col. 15 Drag. 1835; gen. 1841. Gov. and c.-in-c. Gibraltar 1842-49. Wilson had since 1814 again aspired to a seat in Parliament. Now he had an additional motive for it. Having been offered an opening at Penryn for £3,000, he rejected it on receiving a more tempting offer from Maidstone to bring him in free of expense in August 1816. Meanwhile he urged Grey to declare in favour of parliamentary reform and conciliate the radicals. Grey discouraged him on both counts. In 1817 he assisted the abortive Whig plan to run an evening paper and deplored their inability to keep up with public feeling. On the death of Ponsonby, the Whig leader in the Commons, he wrote that he had ‘not venom enough in him for the times. The Devil himself is wanted to confront Castlereagh and co.’ He thought Fox’s name was a dead letter and urged the opposition leaders to confront the Regent with a plea for a change of system. In January 1818 at the very moment when his ‘parliamentary ardour’ was ‘very much chilled’ he was invited to offer for Southwark as a reformer, but declined on learning that he would prejudice the chances of the Whig Member, Charles Calvert. A month later, he rejected Maidstone also, on grounds of expense. He was present at the foundation of the radical Rota Club, 21 Feb., and was this time induced to offer for Southwark, where he appeared on 20 Apr., escorted by two Whig Members, Bennet and Lambton and by Robert Waithman, for his adoption. He was promised assistance by the Westminster committee, putting himself out of the question in that constituency from loyalty to the reformer John Cartwright. 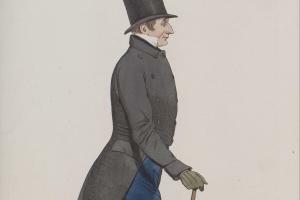 He succeeded in ousting the ministerial Member in the Southwark election, by an uneasy coalition of radical and Whig support which no honest man could hope to please.5 In the Westminster election, too, he voted both for Romilly and Burdett, but on 5 Jan. 1819 he withdrew from membership of the Rota Club. 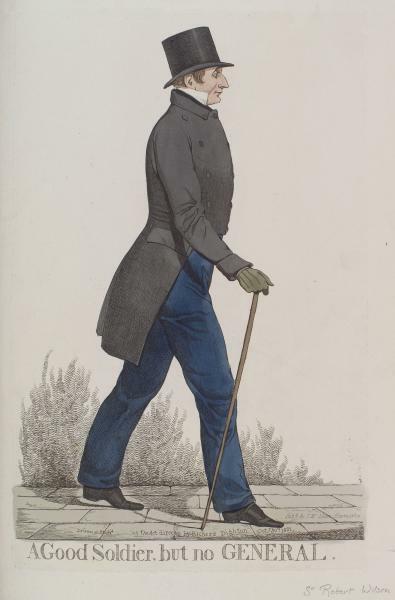 Nothing daunted, Wilson was on his feet again on 2 Feb. 1819 to support his constituents’ petition against the coal duties, next day opposed the Westminster hustings bill and on 4 Feb. launched the case against Wyndham Quin*. Brougham assured Grey that he did this ‘admirably’, was ‘now quite docile and may therefore do’.7 On 17 Feb. and 23 Mar. he opposed petitions for agricultural protection which could only inflame the labouring classes. He approved a policy of splendid isolation in foreign affairs, 19 Feb. He called for the equalization of the coal duties, 2 Mar., and concurred in the vote of thanks to the Indian army, 4 Mar. He opposed the trial by battle abolition bill, 22 Mar. On 8 Mar. he said he hoped reform would not be confined to the borough of Penryn. On 29 Mar. he summed up the case against Wyndham Quin which he had been conducting, in six resolutions, concluding that Quin was in breach of privilege, but an amendment was carried with ministerial aid by 154 votes to 81. He supported Catholic relief, 3 May, though 12 years before he had privately declared that he would never support it.8 On 17 May, rather than extend the franchise at Barnstaple, he proposed the transfer of it to Leeds, giving Barnstaple electors the right to vote for Devon; the motion was defeated by 110 votes to 12. On 26 May, presenting a petition from Chorley for the disfranchisement of Penryn for Chorley’s benefit, he declared that he would not agree to a shilling of additional taxation until some such step towards reform was taken. He led the opposition to the foreign enlistment bill, 3 June. On 9 June he warned ministers that excessive taxation had caused the French revolution and, opposing the excise duties, 25 June, added that ‘it is the last feather that breaks the horse’s back’. On 1 July, in support of Burdett’s reform motion, he urged that as the economists had failed to check the government, reform was the only alternative, though he thought the motion ill-timed. Wilson saved his face for a decade by political martyrdom in 1821, but was discredited in 1831 through lack of enthusiasm for the reform bill.10 He died 9 May 1849. 1. M. Glover, A Very Slippery Fellow (1978); H. Randolph, Life of Gen. Sir Robert Wilson (1863), i. 242-4 (based on Wilson’s papers, Add. 30095-30144); Moore Mems. ed. Russell, ii. 307; Prince of Wales Corresp. v. 1958; Add. 37885, f. 119. 2. Colchester, ii. 235, 240; Add. 30118, 30119, passim; Harewood mss, Canning to his wife, 20 Feb. 1812. 3. Add. 30120, passim; Grey mss, Grey to Wilson, 20 Oct. 1812, 28 June 1813, 7 Jan. 1814; Brougham mss 39699. 4. Add. 30102, 30127, passim; Gent. Mag. (1816), i. 525; Colchester, ii. 567; Grey mss, Tierney to Grey, 17, 22, 27, 29 Jan., 10 Feb., Grey to Lady Holland, 26 Jan., to Wilson, 24 May, 10 Aug; Add. 51609, Adair to Holland, n.d.; 51666, Bedford to Lady Holland, 21 Jan. ; Holland, Further Mems. Whig Party, 257. 6. Lambton mss, Wilson to Lambton [Aug.]; Grey mss, Grey to Wilson, 29 July 1818, 16 Jan., Lambton to Grey, 27 Jan. 1819; Add. 39949, f. 46; 56540, ff. 21-22. 7. Brougham mss, Brougham to Grey, Sat. [6 Feb. 1819]. 9. Broughton, Recollections, ii. 113; Add. 27842, ff. 137-8; 36457, ff. 135, 185, 351; 38574, f. 140; 47235, f. 32; 56540, ff. 20, 101; Grey mss, Ellice to Grey, 4 Oct.; Lambton mss, Wilson to Lambton, 1 Nov. 1819.